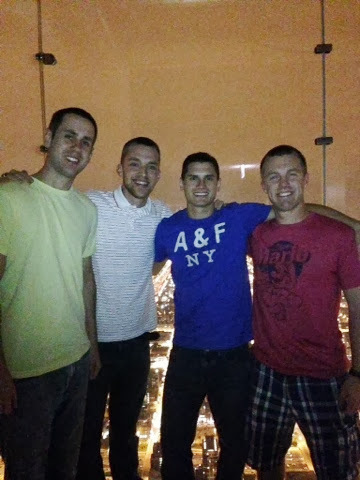 This past weekend Taylor and I drove to Chicago to meet up with our college friends to celebrate the life of a great friend from USAFA. Some of us hadn't seen each other since graduation over THREE years ago! There have been weddings, deployments, and just recently a baby (!) since we all got together. Obviously being in the military means that at any given time, someone you know is deployed so we were so grateful that the seven of us were able to spend the weekend together. 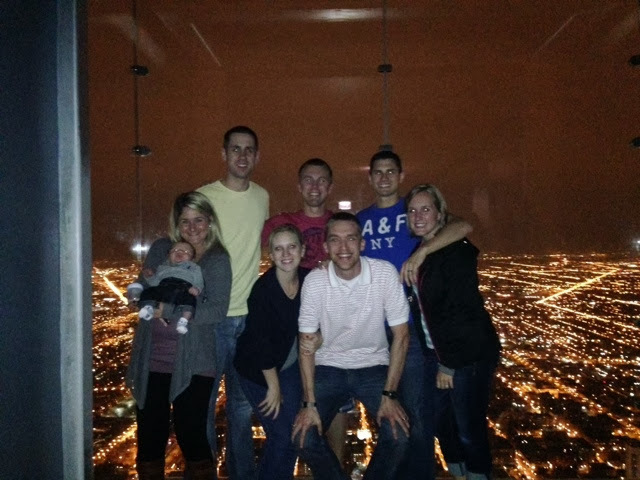 With the exception of Craig and Angela, none of us had ever been to Chicago so we decided to do some exploring. At 9:30 at night. 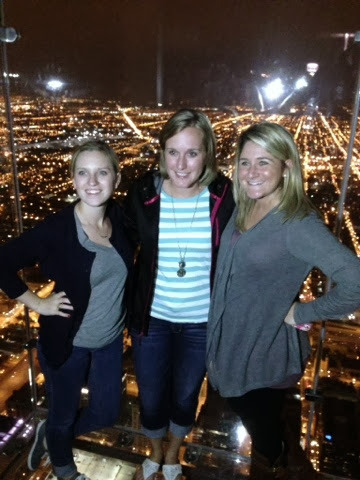 We drove into the city, parked our cars and managed to get to the Willis Tower Skydeck at 9:35. Five minutes after they stop letting people in. Luckily though the doorman spotted Baby Peter and decided to let us in. Then, we told them we were all military and they let us go up FO'FREE. 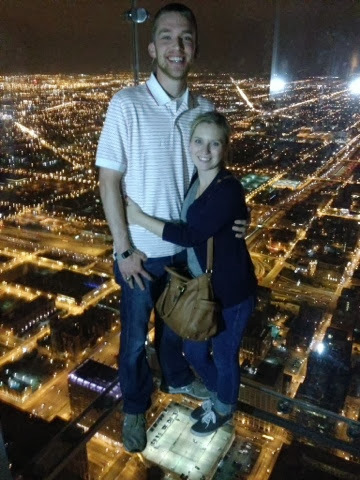 Since it was dark inside of the building to allow for the best views of the Chicago city, our pictures were lacking in quality. Sometimes when you're five weeks old, you just need a bottle and a diaper at the same time. The ladies of the trip! I'm not sure who has the picture of us all looking at the camera. USAFA friends. I am so thankful for these wonderful guys. We were floating above the city! I only looked down for .5 seconds because I got so dizzy. I would like to mention that since it was so dark and we were having such a hard time taking pictures with our phones, we accidentally came up with a flash solution. Craig took the pic with his iPhone 5 (best quality pics) and two other people turned on their flashlights. 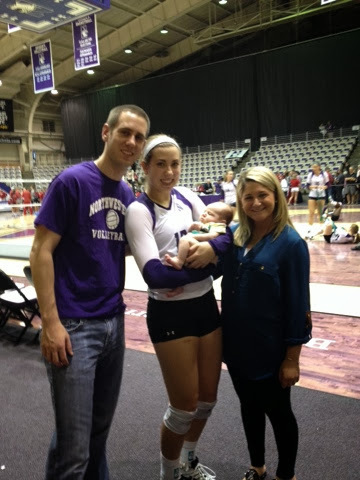 On Friday night, we drove up from the south end of Chicago all the way to Evanston for Craig's sister, Monica's volleyball game. She plays for Northwestern! 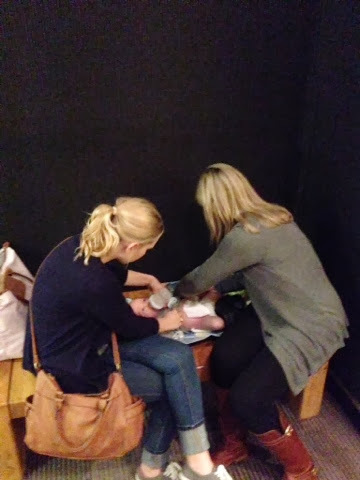 It was also her first time to meet Baby Peter! 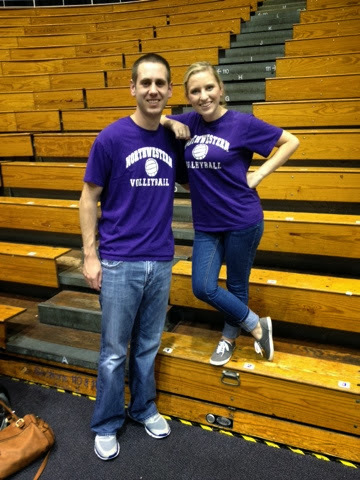 Angela let me borrow her NU shirt for the game so Craig and I ended up matching. Long ago I decided to embrace the short jokes and thought this picture was hilarious. We had such a great time just catching up with everyone and reminiscing about all the good times in college. Being with friends is the best way to get through the rough times in life and I am so thankful these are the ones we get to do that with. Life is so precious and so short. Pick up the phone and call the ones that are far away. Visit the ones you can, and always tell the people you love how much they mean to you.